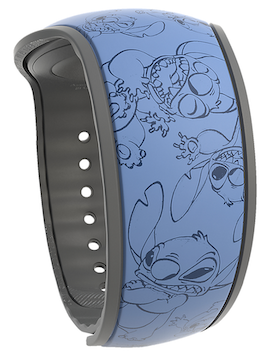 A new Open Edition Stitch MagicBand was released today on shopDisney.com for $24.99. This band appears to be on a new light blue base color that we haven’t seen before. The barcode SKU for this is 400021255814. You should find these throughout Walt Disney World soon as well. 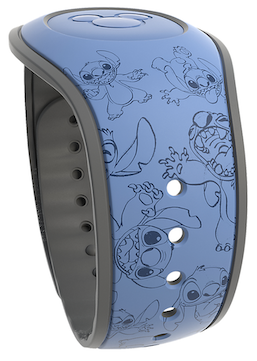 One Response to "New Stitch Open Edition MagicBand appears on new light blue color"
Does this one have any effects? Follow up question, do you know how often limited edition bands are released?